In George Couros’s quick blog about what learning is, he talks about the importance of connectivism. The whole purpose and idea surrounding education now (or so it seems) is that we can connect to other people, and grow together. Like Louise I’ve always considered myself a co-constructivist, and I think that these two theories blend together quite well. We co-create our knowledge, it is no longer limited to within classroom walls, or at a specific time. Learning is everywhere, all the time. I think though, that at times, we forget to make those emotional connections to people, places and things. It’s easy to connect and still consume things from others (like we do online most of the time), it’s easy to connect and learn on the surface. But I think for those deep learning opportunities we have to connect emotionally. It’s possible, but not easy. In the video about the University of the People we learn about people who have made emotional connections to subjects, and others and how they want to move forward to create a better world. Daniel Pink talks about how intrinsic motivation works more effectively than any kind of external reward (and as teachers don’t we know this already), so we need to make those connections to our work place, and students in order to truly and transformatively change something. So this has been my goal this week, with students as well as myself. Make emotional connections, to things, people, places, I can do this online (and have been with my parents and friends this week), but also take time to do it in the “real” world too. If connectivism shows the power behind the connections in our learning, then we have to make them meaningful. I think that slow education can be powerful for this, even if we are online we can have meaningful interactions, we just have to focus on our connections. 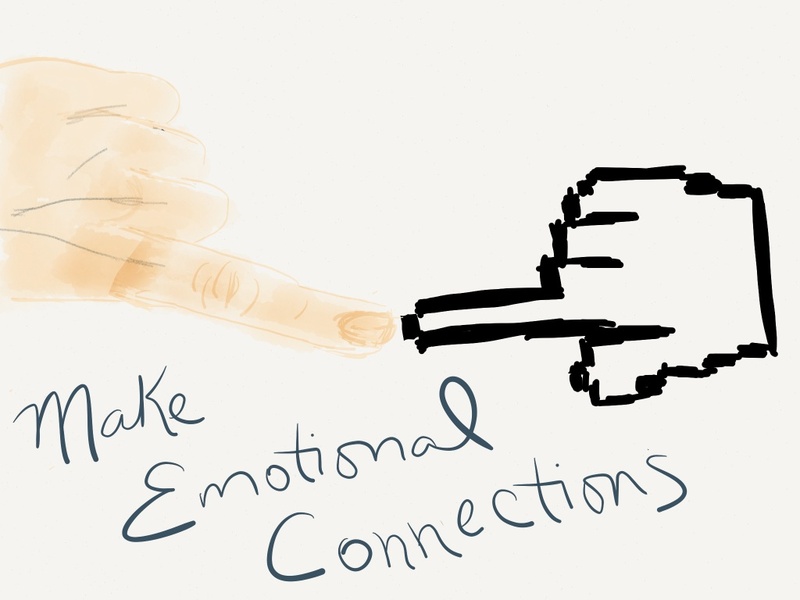 Going slow, even online, to make those connections meaningful and emotional can make for powerful learning (I think).